Rodriguez Park Architecture Planning joins the DAHLIN San Diego office to create a synergy of resources, talent and exceptional service that benefits our clients and expands design expertise to include healthcare and education specialists. Driven by our passion for creating places that promote human fulfillment and well-being, DAHLIN is a full service Architecture and Planning firm, founded in the San Francisco Bay Area in 1976 and established in San Diego since 1991. Rodriguez Park, which has operated in the San Diego area for over 25 years, serves leading healthcare providers and academic institutions, driven by the passion of Design for a Healthy Tomorrow. 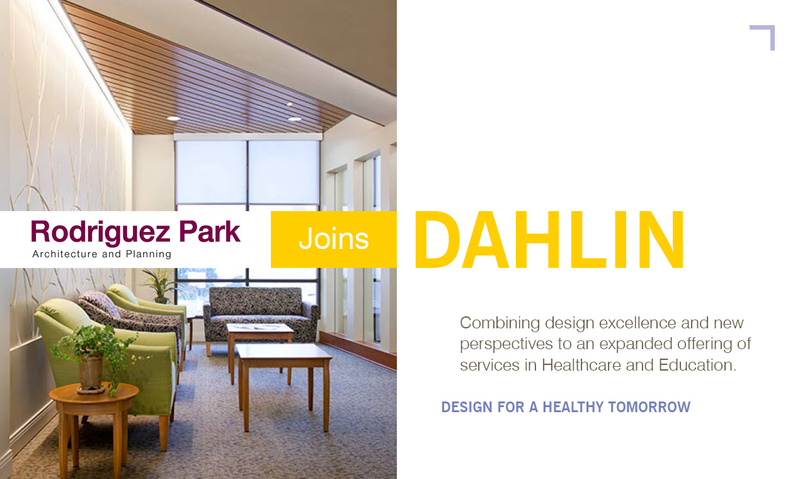 Coming together as one firm elevates the expertise provided to our clients by merging sophisticated healthcare and academic design perspective into DAHLIN’s established role as a leader in design of community planning and architecture.